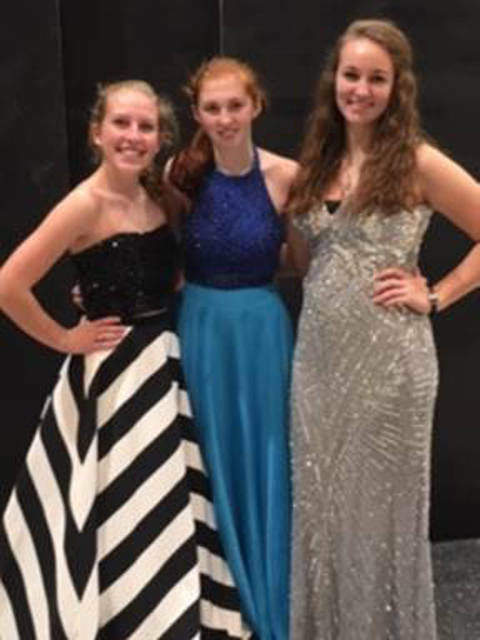 The Versailles Music Boosters will host a prom and homecoming dress exchange from 1-3 p.m. Feb. 3 at Versailles High School. VERSAILLES – The Versailles Music Boosters will hosting their third annual prom and homecoming dress exchange on Feb. 3. The event will be held at Versailles High School, 280 Marker Road, in the cafetorium. People are asked to use door 19. With previous two exchanges considered a success, it was decided to hold the event again this year. And with people bringing dresses from all over Darke, Mercer and Shelby counties, there will most assuredly be a plethora of styles from which to choose. Dressing rooms will be available for girls to try on the dresses they are interested in purchasing. The Music Boosters will use the proceeds from the dress exchange to help fund the vocal and instrumental music departments. Girls wishing to sell their dresses, shoes and accessories will need to bring them to the school between 11 a.m. and 12:30 p.m. Feb. 3. There will be a fee of $7 per dress and $3 per pair of shoes and $3 for each accessory that girls wish to display for sale. Girls then will be free to price their items as they wish and keep the sale money, if the items are sold. Admission is free, and the doors will be open to the public from 1-3 p.m. Feb. 3 for shopping. This sale is cash only, and all sales are final. For more information, contact Kelley McGlinch at 937-423-8802.